If any gaming company knows how to deliver a press conference that electrifies its audience, it’s Sony. After the prerequisite sizzle reel, the show opened with a tease for a “long-awaited” game, one that turned out to be none other than the borderline-mythical The Last Guardian. Opening the show with real, functional gameplay from this long-awaited title sent both the crowd and the Internet itself into a frenzy as the game finally and gloriously re-emerged. The game looks gorgeous, and players will finally get the chance to play it next year. 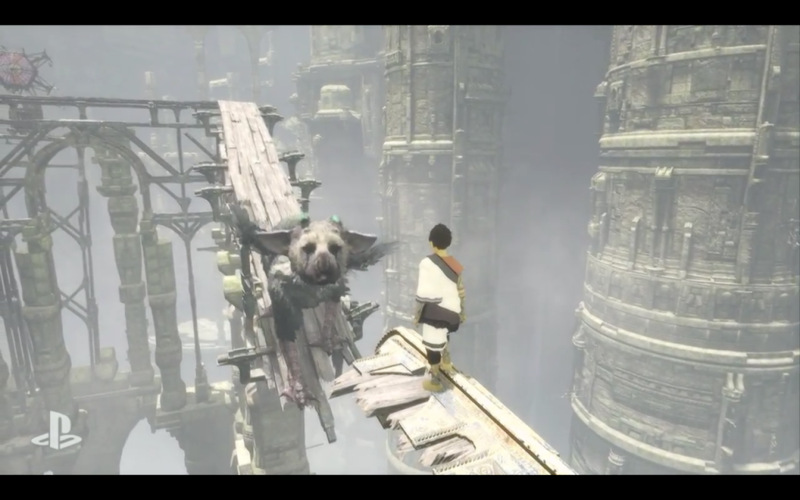 Behold, Sony fans – your Last Guardian has returned. The hype train kept right on rolling with the introduction of a brand-new franchise from Guerilla Games: Horizon: Zero Dawn. Its presentation began with a cinematic that showed a civilization destroyed, its monumental progress reclaimed by the planet and recolonized by many different tribes. 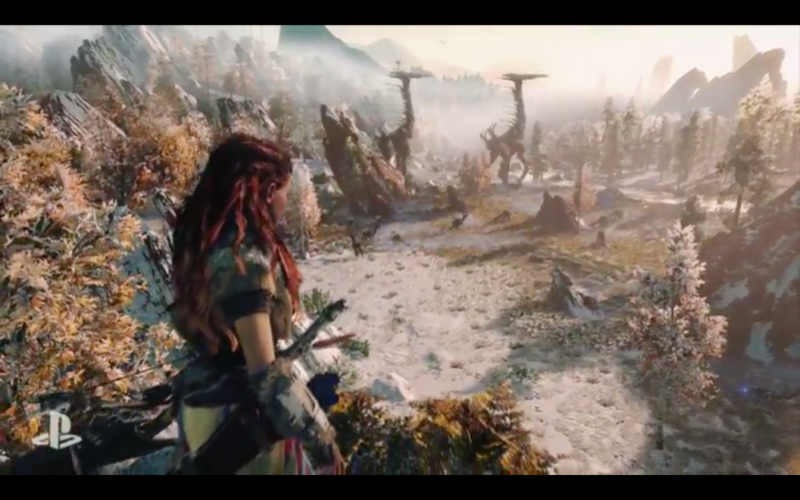 Once gameplay began, a female character took to a busy field to hunt, gather, and keep surviving. An intense fight against a massive dog-like robot served as the highlight of the demo, which looks to insert hard sci-fi into a detailed, prehistoric world. Horizon: Zero Dawn has the potential to be phenomenally original. Next up was a look at Square Enix’s next entry in the Hitman franchise, simply called Hitman. Called the most ambitious Hitman game to date, there will be a PS4-exclusive beta for those who pre-order, and it will also feature six contracts exclusive to the platform. This led directly into an energetic look at Street Fighter V, which looks like it’s set to carry on the legacy of the storied fighting franchise very well. It will be exclusive to PS4 and PC, and it will also have its own beta for those who pre-order. 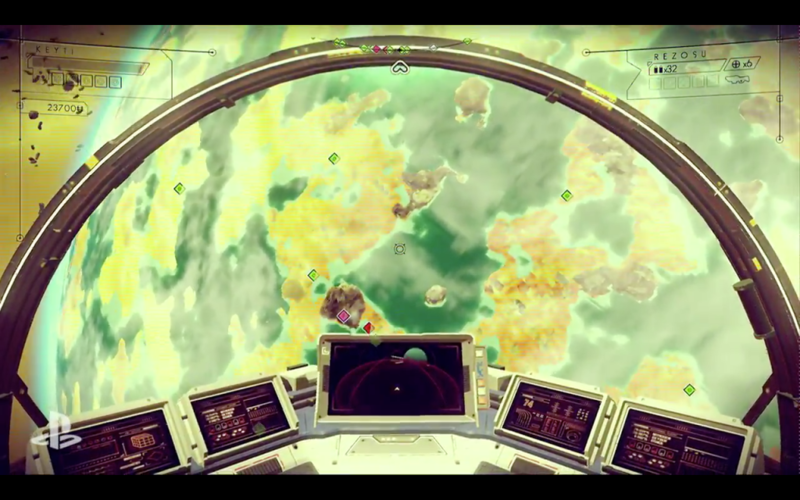 Right after that, Hello Games came on stage to give a live demo of their much-anticipated, procedurally-generated No Man’s Sky. The studio blew through a demo that featured space combat, universe navigation, and flying into a random planet that the developers never visited before. Apparently, every single planet in the game is completely destructible, and there’s so many of them, the developers warned that most will never be found. Though no release date was announced, the new demo certainly drummed up even more interest in what it has to offer. No Man’s Sky is big beyond belief. 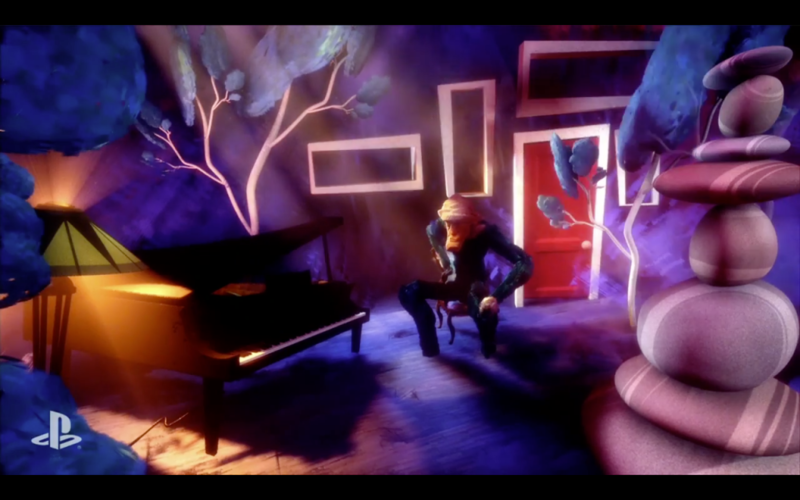 Next, Media Molecule took the stage to introduce something “crazy and exciting” called Dreams. The experience seeks to capture what we feel when we dream while we’re sleeping, and it does so by using objects you and others draw to create something entirely new. It’s actually pretty tough to explain, but it seems to involve players painting and crafting their own worlds, such as a pianist playing in a field, a hoverbike chase sequence, or angry teddy bears fighting green ogre-like monsters. Another new game, Firewatch, showed off a cel-shaded adventure game that lacked details, but looked intriguing. Dreams is different, I’ll give it that. Then, the focus turned to Destiny. After a quick recap of how the game has developed since it launched, we got a look at The Taken King, the next massive expansion for the game. 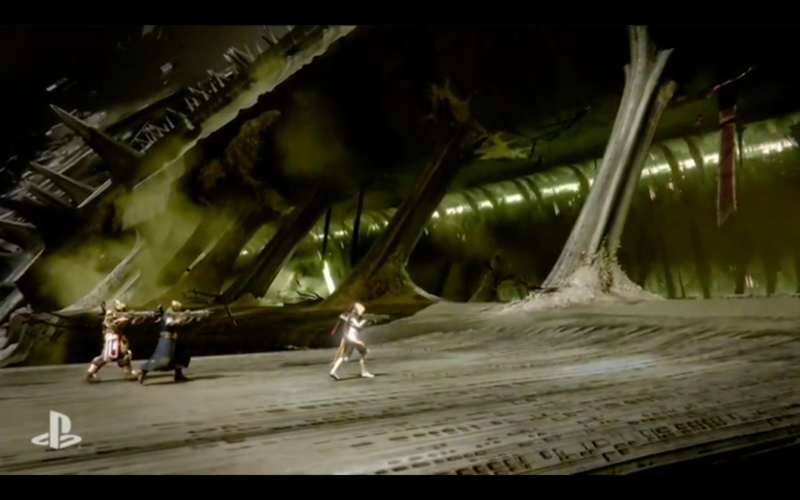 The pack’s trailed hinted at plot developments while showing off new environments, weapons, and Guardian powers. The content pack will launch on September 15th. 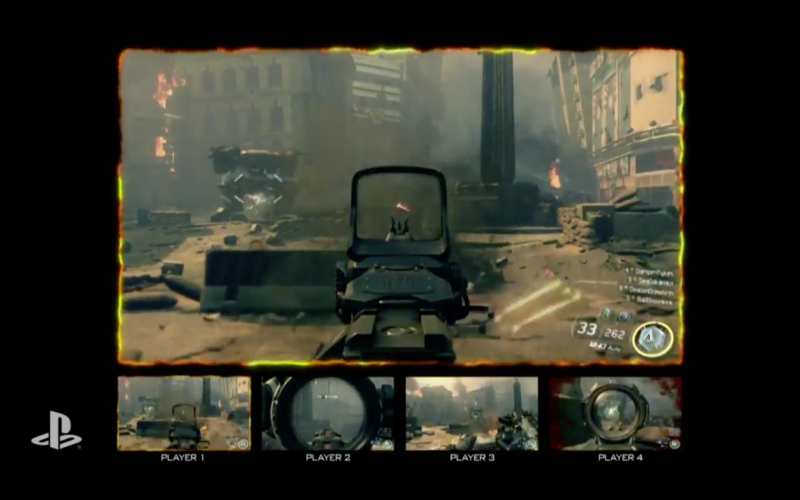 This pack will also feature exclusive PlayStation content, like a new strike and a multiplayer map. This transitioned into another new look at Assassin’s Creed: Syndicate with a trailer and overall presentation that, in my opinion, did a better job of conveying the game’s advancements and personality than Ubisoft’s presentation did. There will be exclusive “Dreadful Crimes” missions that you can only find on PS4. Next, Sony gave us a look at a cute new entry in the Final Fantasy franchise, World of Final Fantasy, which will be exclusive to Sony platforms. This announcement was quickly overshadowed, however, by the long-awaited high-definition remake of none other than Final Fantasy VII, an announcement that completely rocked the audience. The remake will arrive first on PlayStation 4, which is a massive get for that console. The presentation then introduced four new, pixel-art games from Devolver Digital, all of which will be exclusive to the PlayStation 4 as well. 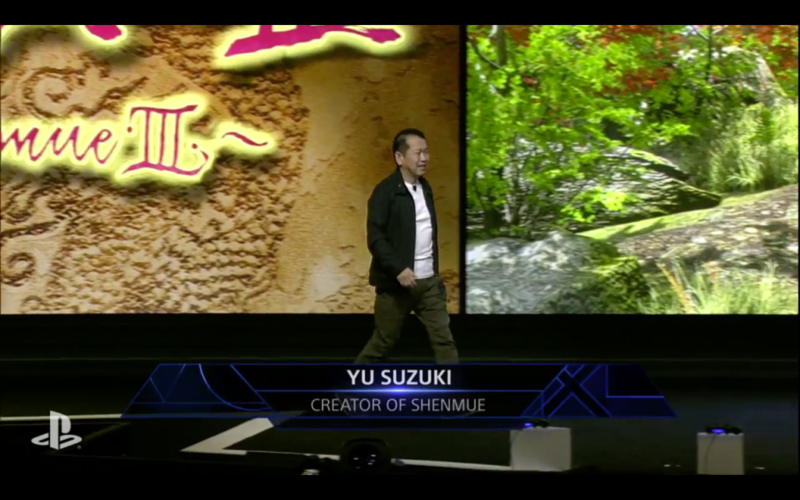 After that, Sony and Yu Suzuki dropped the bomb we all hoped they would: Shenmue 3 is real, it has a Kickstarter campaign that you damn well better contribute to, and the announcement drew a standing ovation from the crowd. We also got another good look at Batman: Arkham Knight, which still looks absolutely gorgeous, and its PlayStation-exclusive Scarecrow Nightmare missions. You don’t mess with Yu. The show then turned to Project Morpheus and all of the different ways that Sony hopes to transform the virtual reality experience; I’ll admit it: it does look pretty ambitious, and I really want to try it for myself. Also mentioned were PlayStation’s attempts to continue to improve the console’s broader entertainment functionality, including a plan for PlayStation Vue to support the purchasing of ala-carte television channels without the need to subscribe to a bundle, and PS Plus subscribers can purchase channels at a discounted rate. Additionally, PlayStation will be partnering with Activision to further promote the upcoming Call of Duty: Black Ops III, which they then showed on stage. This demo teased the game’s comprehensive co-operative experience with an intense demo based in Cairo full of the explosive, down-and-dirty action we’ve come to expect from the series. Also shown was the game’s new multiplayer experience, which looks even more fluid and fast-paced than even games like Titanfall. In a big announcement, PlayStation players will get map packs first, and they will have exclusive access to the game’s beta in August, open to players who pre-order. It’s big. It’s bombastic. It’s Black Ops III. After another rapid-fire trailer that showed off many games, the classic Star Wars theme soared to indicate that Star Wars, Pixar, and Marvel characters will be coming to Disney Infinity 3.0; there will be a Star Wars-themed starter pack for the new version of Infinity that will be exclusive to PlayStation. Then, much to the audience’s delight, the show rolled right on to Star Wars: Battlefront, at which point a DICE employee took the stage to describe some of the single-player and cooperative missions that will be featured in the game. We then got a look at some of what to expect from the game with a demo that showed off both first-person and third-person gameplay. 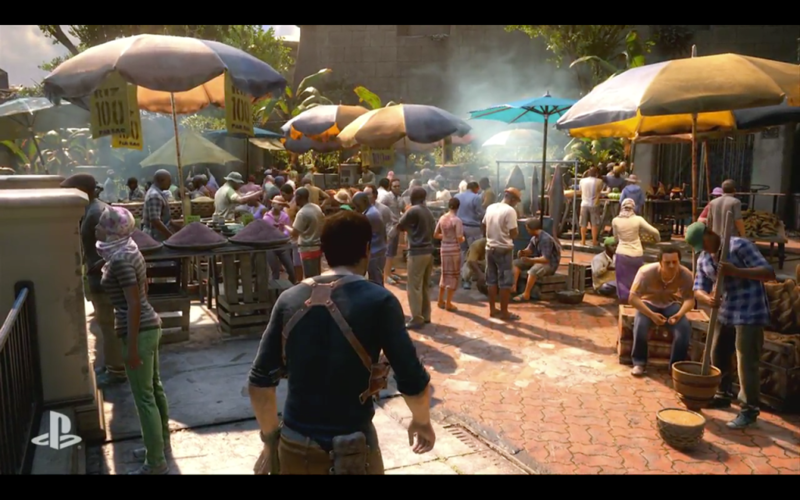 Uncharted 4 looks as sleek and action-packed as you’d expect. As the presentation drew to a close, we got an in-depth look at live gameplay from Uncharted 4: A Thief’s End, which unfortunately suffered from a few technical issues; after struggling to load initially, the game had to be restarted, at which point things seemed to run smoothly. Once things got moving, we were treated to some intense and very dynamic action: tense gun battles, rapid-fire dialogue, and drivable vehicles. This game is sure to be one of the definitive PlayStation 4 exclusives, and from the gameplay we saw, it’s shaping up to be an excellent experience. With that, Sony closed out another exceptional showcase that proved beyond a doubt that the company still has what it takes to deliver excellent gaming experiences. But seriously. Shenmue III, everybody. PSO v2 GameCube Release Date?